The Money Charity has a small but dedicated and passionate team. Find out more below and if you’d like to join us, have a look at our latest vacancies. Michelle leads all aspects of the charity, as well as representing us in the public sphere. She is well-versed in the financial services industry, having spent 13 years at the Financial Services Authority (FSA) in a variety of management roles. Her particular area of expertise is financial capability, which she developed while she held a leading role in implementing the national strategy for financial capability at the FSA and setting up the Money Advice Service. In addition, Michelle is a trustee of Gambleaware and a member of pay.uk’s End User Advisory Council. 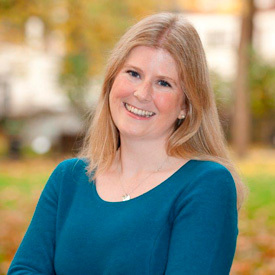 Michelle’s extensive interest and passion for financial capability fuels her aspiration to increase and diversify The Money Charity’s offering, with the overarching goal to empower people in the UK to stay on top of their money. Steph leads on our work with young people across the UK, including our Money Workshops, Student Money Manual and Teacher Resource Packs. 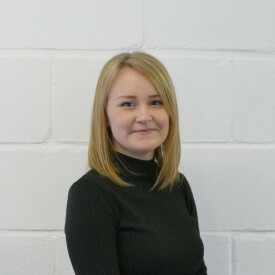 Steph has a background in working and volunteering in education and the charity sector in a variety of roles. This has included working in schools, on National Citizens Service programmes, and for government. Steph has international experience as a Programme Manager at The Commission for Financial Capability in New Zealand, which involved running workplace and community financial education ‘behaviour change’ programmes across the country. Steph is passionate about helping people gain more confidence in managing their money and enjoy the control and freedoms it brings, especially young people. Erik joined us in September 2017 and looks after our workplace and community programmes. Erik has experience working within operations, governance, and debt collections in global retail banks. Originally from the US, Erik has lived in Germany, UAE, Russia and now the UK; he has had the opportunity to work in over 40 countries during his career. He has also worked with charities including Citizen’s Advice and Southwark Foodbank. In addition to his work, Erik is a trustee for Fair Money Advice, an East London debt advice charity. Erik enjoys helping organisations understand how financial capability can improve their products and services while also supporting the wellbeing of their employees. Outside of work Erik can be found running (slowly) around Burgess Park training for his next half-marathon which he uses as an excuse to travel and check out the food scene of other countries. Tom ensures effective operations, financial management and governance of the charity, and oversees our HR, IT and facilities. Tom has over 14 years’ experience working in the charity, education and arts sectors, and joins us having previously been Head of Finance & Operations for a homeless and disadvantaged person’s day centre, where he supported vulnerable people to happier and healthier lives. Prior to that, he worked for a number of education charities where he specialised in organisational development. Tom is passionate about transforming lives through empowerment and relishes the challenge of a broad remit where he can make a difference. Alongside working for charities, Tom is successfully self-employed as a professional opera singer and performs regularly across the UK and internationally. Camille supports our Head of Finance & Operations in maintaining our financial systems as well as providing administrative support to the whole team. 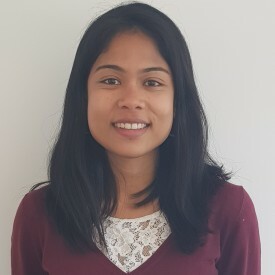 Camille joined us in February 2019 after completing a degree in Accounting and Finance at BPP University. Her biggest wish as a graduate was to start a career in the charity sector. Camille enjoys seeing her team deliver exceptional work, and promoting wellbeing through financial capability. Outside of work, Camille runs a small business called Theory Tea. Every Saturday, she attends markets around London giving people the chance to create their own tea blend. She also enjoys reading, practising yoga and discovering all the beauty nature has to offer. Belinda works on financial wellbeing training projects for both community and corporate clients. Belinda is a qualified teacher with a background in training, events and marketing across the corporate, public and charitable sectors. She has designed and delivered workshops and training programmes for clients such as British Airways, Sainsbury’s and Unilever. She has also worked on educational projects for campaigning community organisations such as The School Food Trust and The Gaia Foundation. With experience setting up and running two successful educational businesses, Belinda is now keen to help organisations and individuals with their financial wellbeing. Belinda is mad about cooking and nutrition and has recently started making her own raw chocolate. David looks after our policy positions, responses to consultations and policy networking. He also updates The Money Statistics each month. 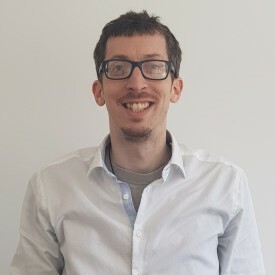 David joined us in August 2018 after three years working for Age UK in roles relating to consumer financial services and consultancy. Previously he was Head of the Research and Statistics Unit at the UK Film Council and the BFI. He has a background in economics, public policy and statistics. David is keen to contribute to the reform of financial regulation for consumer benefit and financial capability. Outside of work, David divides his time between cycling in the Lee Valley, watching movies, socialising and writing fiction. James heads up our external-facing communications and marketing, raising awareness of the charity and engaging people with our work and messages. James has worked extensively within the charity sector for local, national and international causes, taking in a variety of roles with a common thread of communications. He has also spent time working in digital publishing, contributing to a wide skills-set and knowledge base encompassing multiple aspects of communications and marketing. James loves aligning creativity with quality and a sharp attention to detail, and is passionate about communicating effectively in an engaging way that entertains with a purpose. Outside of work, James runs around after his two small children, plays an active role in his church, and tries to squeeze in time for cricket, football and as many films as possible.